So I have been asked many times by a lot of you about what I do to my hair to get it to look healthy and shiny. I've been meaning to do a post on it but to make it quite detailed, I decided to break it up into several posts so that I could focus on each aspect properly. Just to give a little background about my own hair story (yep everyone has one), about 3-4 years ago, before I moved to London, my hair had been in really bad shape. It was falling out like crazy and I started to get areas where the hair was so thin it really freaked me out. The thing about hair loss is that its very difficult to pinpoint the exact cause. So I put mine down to stress because after having many visits to the doctor and several blood tests, they couldn't find anything wrong. That's when I got serious and did a lot of research and started implementing some serious changes to my lifestyle, diet, and hair care. I'm happy to say that now my hair is doing really well, but it took a while so you must be patient. Hair loss can be a very stressful and devastating experience and its almost like a vicious cycle because the more you lose, the more you worry and the cycle continues. To break this cycle, you should try and combat any areas of your life that might be causing you stress. It's possible you might not even think you are stressed at all! Relaxation is key, so once a day take some time to yourself and do something to ease the tension. This could be a nice relaxing hot bath, or watching your favorite show with a cup of herbal tea. This goes without saying but sleep plays a major part in this. I find that if I don't get about 7-8 hours a night, after a while I just don't feel right. This will of course affect your mood during the day and you will feel sluggish and many studies show that when you don't get enough sleep you end up eating fatty unhealthy food which makes you gain weight...but that's for another future post. This brings us to diet. Diet is key to having healthy hair. It makes sense though, you're only going to get out what you put in. One of the major constituents of hair is a protein called keratin, and if you're not getting enough of it then your hair will suffer. Other key components of hair are minerals and vitamins like zinc, selenium and most importantly Biotin (Vitamin B7). Keratin protein - This is the major component of hair. 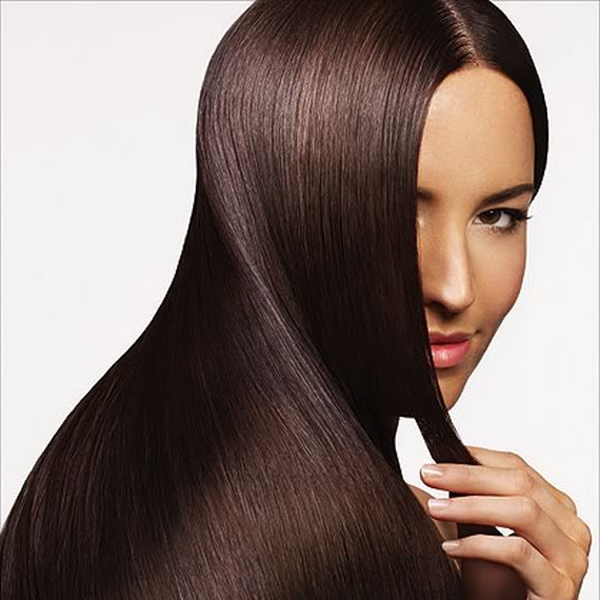 Biotin - Without Biotin, studies show that hair can become brittle. Selenium - This is an important mineral for a healthy scalp. Zinc - A deficiency in this can lead to hair shedding. Iron & Calcium - These are important minerals for healthy hair growth. Poultry/Eggs/Fish - These are all excellent sources of high quality protein. 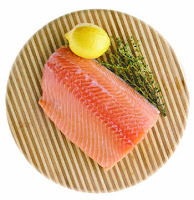 Salmon in particular is great for hair because it's loaded with healthy omega-3 fatty acids too. 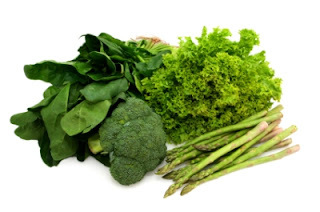 Green Vegetables - We all know that greens have so many health benefits and one of them is healthy hair. Veggies like spinach and broccoli are excellent sources of vitamins A and C, which are required to produce sebum. Sebum is your hair's naturally occurring oil and it helps condition it from the root. 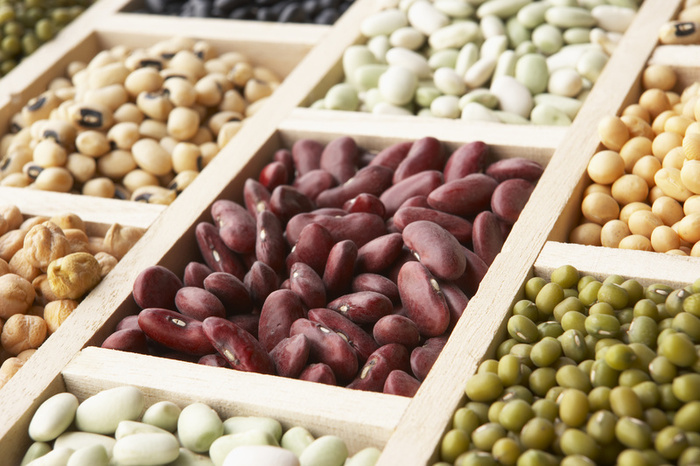 Beans - Legumes like Kidney Beans and other lentils are an important source of protein too, but also contain lots of iron, zinc, and biotin. Nuts - Nuts in general are very good for your health. 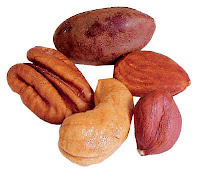 Brazil nuts are a great source of selenium and walnuts contain alpha-linolenic acid (an omega-3 fatty acid) which is known to help condition hair. So try to add some of these into your daily diet and over time you should notice a difference. I know some of us don't have the time to focus on our diet so much especially with home and work commitments, but eating healthy will not only benefit your hair, it will give you more energy to get through the day. There is something else you can do, if you're not able to get all your daily diet requirements. One is to take daily multivitamins. This is a must anyways, but if you don't already do so, you should definitely start. I would recommend Centrum daily vitamins but you can take any other ones. Another is to try looking for a herbal hair supplement. I would only recommend this for extreme cases of hair loss, so if your hair loss isn't extreme then you don't really need this. 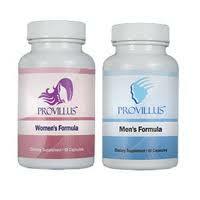 I have tried a product called Provillus which is a herbal hair supplement and they have worked a wonder for me. They come in both men's and women's version so guys experiencing any hair loss can give them a try too. They contain all the vitamins and minerals which you need for a healthy set of hair like Biotin, Zinc, Selenium, and others like Horse Silica etc. I should add a disclaimer here saying that even though I have tried this product and gotten great results, I can't say for sure that it will work for everyone 100%. If your hair loss is down to diet, stress, or hormonal imbalances then there is a good chance this will help. If you are suffering from another underlying illness which is contributing to hair loss then you should focus on treating that instead. So to wrap up, remember that a little bit of hair loss is normal everyday, because hair grows in cycles. But if you are finding more than an average of a 100 hairs falling out every day, then it may be time to rethink your diet and make some lifestyle changes! So great J! I'm a big believer in multivitamins- it really can change your entire system. Since I've been taking Biotin I can literally see my hair (and nails) grow and less breakage. Thank you Anika!! :) Yea Biotin is amazing, ever since I've been taking it my hair has been so much stronger! Thanks Nafeesa!! :) I am so pleased by all the positive feedback, its motivating me to keep writing! Yea I've been taking vitamins for many years now...my mom was a big believer in them so she made sure we all took them.